A Labour Brexiteer has warned Jeremy Corbyn’s U-turn on respecting the outcome of the 2016 referendum is “total nonsense” and will see the party punished by voters, particularly in the north and Midlands of England, which would rob Mr Corbyn of the chance to become prime minister. John Mann, Labour MP for Bassetlaw in England’s East Midlands region — part of a belt of traditionally left-wing voting areas that stretches out from Liverpool and Manchester to Hull — has warned that by reneging on his manifesto promise to respect the outcome of the United Kingdom’s 2016 referendum to leave the European Union, he risked becoming the next Nick Clegg. Former Deputy Prime Minister Clegg made a manifesto promise to scrap student tuition fees, but when in government with the Conservatives raised them three-fold. Voters thanked him for this U-turn by reducing his number of seats from 57 to just eight in the next general election. The comments come after Jeremy Corbyn announced at a closed party meeting Monday night that Labour would back a second referendum, directly contradicting the 2017 manifesto his Members of Parliament were elected on. The sudden change of direction has been interpreted as an attempt to stem the tide of defections from the party of anti-Brexit MPs, who have largely gone on to join a new anti-Brexit ‘Independent Group’. Speaking to British broadcast television and radio Tuesday, Mann warned this course of action would be the “end of the Labour Party in the north and the Midlands”, explaining that Labour was now largely controlled by Remain-supporting London activists, which ignored the interests of pro-Brexit Labour voters in the north of England. Mann accused Jeremy Corbyn himself of being a hypocrite. 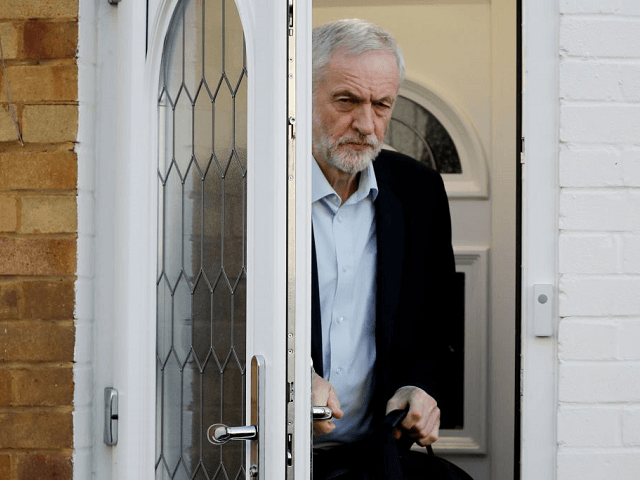 When he was elected to the leadership of the Labour party, the hard-left veteran activist had promised to usher in an era of new, better politics by being honest and doing what he said he would do. Pointing out the degree to which he was breaking this promise, Mann told Sky News anchor Adam Boulton: “Jeremy Corbyn said he was going to be a different kind of politician, who said if he stood on a manifesto, would stick by that manifesto, and increased his popularity a lot by saying it. Others outside the party were critical. In a statement seen by Breitbart London, UKIP leader Gerard Batten was scathing of Mr Corbyn’s decision to ignore the 2016 referendum. He said: “This is a cynical move by Corbyn. He’s been a Leaver for his entire political life, and now he bows to the Remainers in Labour to prevent his parliamentary party fragmenting and disintegrating. But even this cannot hold the Marxists and anti-Semites together in a common cause with his Europhile MPs. “A second referendum is a betrayal of the original referendum. Every EU referendum that has gone against the EU’s integrationist agenda has been either forced to a second vote and set aside or just ignored.